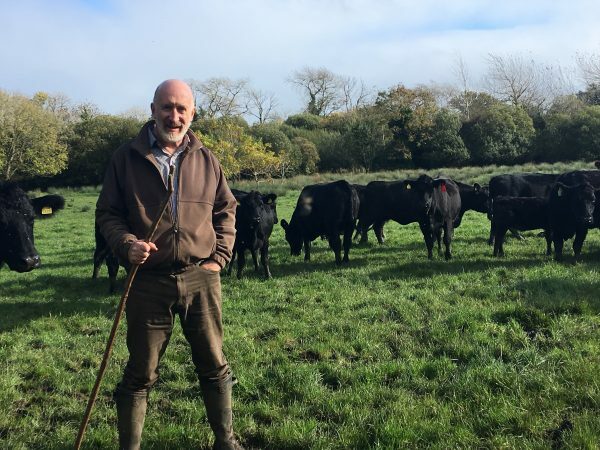 Dr Pat Meehan is a pedigree Angus breeder, with four holdings across Limerick and Laois. He calves his herd in May, June and July, with bulls sold at approximately two years. A key factor in his business selling into the dairy market is targeting a short gestation. Pat has some excellent cattle, and was the owner of Bova AI’s ZLL, who was one of the top Eurostar bulls of all time. Pat sells approximately 100 pedigree bulls per year, as well as exporting heifers. Disease epidemics and mortality are key challenges to avoid for Pat as they require high labour input, cause major inefficiencies, are a disruption to the routine as well as being costly. “For me, prevention is the key, and I do this by vaccinating everything for everything, along with applying the correct nutritional strategies”. Magnesium has a major role to play in every metabolic activity, it helps prevent milk fever, grass tetany, buffers the rumen and enables strong muscular contraction of the gastrointestinal tract which aids in the prevention of displaced abomasum. Grass tetany (or staggers) was a real challenge Pat faced across the four holdings, with 2% deaths resulting directly. “There are plenty of options, but I needed a reliable remedy to prevent tetany.” Following consultation with Nutribio in the spring of 2016, Pat installed the Dosatron pump in 2 of his farms which administered Nutribio’s Flowmag through the water system. Flowmag administered through the water system is highly effective in supplying the continuous stream of magnesium needed to maintain metabolic function and the herd’s health status throughout the year and in times of wet, cold weather when cattle and cows are at risk. Using the Dosatron pump ensures the minerals are consumed by the herd, taking away an element of uncertainty. The pump does not require power which is a huge benefit for fragmented farms such as Pat’s. There is a very straightforward calibration mechanism, which allows the concentration of minerals getting into the water to be changed according to risk, weather, and burden on the cow (e.g. twins). “I have not had mortality from Tetany since the Dosatron pump installation in the farms”. Pat now has installed a Dosatron pump in each of his farms and also now uses the pumps to administer Flowtrace 6++ which contains a full complement of essential trace elements including Se, I, Co, Cu, Zn and Mn. It is especially suited to the grazing herd and can be supplied to both dry stock and milking cows throughout the year. This is particularly important in the Laois farm, which Pat has identified as being deficient in copper and cobalt. In the high-risk periods Flowmag + trace elements is used, and when the risk of tetany has reduced, Pat uses Nutribio’s Flowtrace 6++ to ensure the mineral status of the herd is kept optimal. Through the use of Flowmag and Flowtrace, Pat is able to effectively prevent expensive cattle losses from grass tetany. Click here for further Flowmag product details.